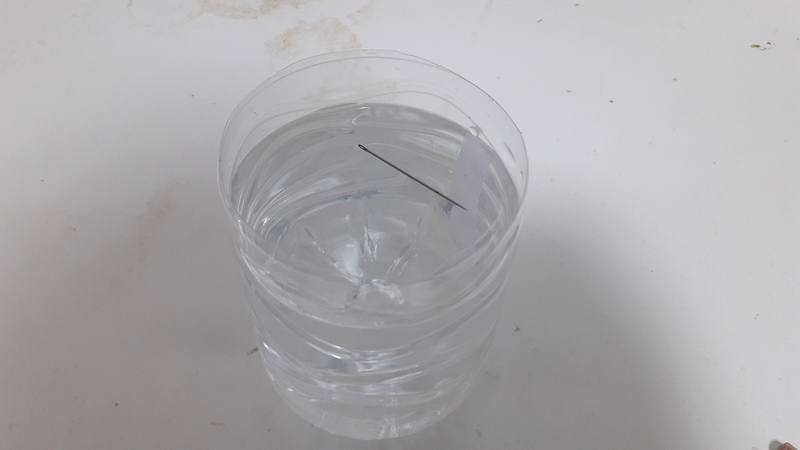 What will happen if you put a needle in a cup of water? It would sink. But you can do it if you use density. Things you’ll need: a needle, a sharp pencil, A strip of paper that is a little bigger than the needle, a cup, and water. Put the piece of paper on the water. Put a needle on the piece of paper. Use the sharp point of the pencil to push the paper down to make it sink. Now, you should have a floating needle. The density of water is about 1 gram per cubic centimeter (62 lb/cu ft): this relationship was originally used to define the gram. The density varies with temperature, but not linearly: as the temperature increases, the density rises to a peak at 3.98 °C (39.16 °F) and then decrease. This unusual negative thermal expansion below 4 °C (39 °F) is also observed in molten silica. Regular, hexagonal ice is also less dense than liquid water—upon freezing, the density of water decreases by about 9%. Yes it is. If you just know a little bit about density.